Edited with preface by Hartwig Knack. Text by Carl Aigner, Manfred Chobot, et al. 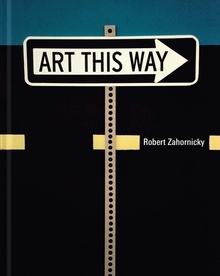 Art This Way illustrates the mercurial and cryptic wit of Austrian photographer Robert Zahornicky (born 1952) in his snapshots of urban and rural life—from the complexity, fast pace and fragmentation of life in the city to the countryside's fringes, forests and often destructive human interventions. Hardcover, 9 x 11.5 in. / 328 pgs / 500 color / 200 bw.